*Students at King University in Tennessee collected signatures on sign on letters that was delivered to four TN U.S. Representatives. *Nursing faculty at all seven campuses of Indiana University NW wrote letters to U.S. Representatives from Indiana and Illinois urging their co sponsorship for H.R. 379. Letters to the editor of local newspapers and nursing journals are also being sent to engage nursing colleagues and the public in the campaign for a National Nurse for Public Health. Thank you to NNNO Advocacy Team member Evalyn Gossett MSN, RN for her time and dedication on behalf of this campaign. 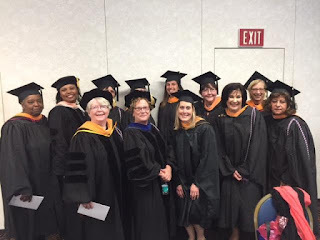 *Students enrolled in Nursing and Health Care Policy: Issues and Analysis at the University of Texas – Arlington College of Nursing taught by Joy Don Baker, PhD, RN-BC, CNOR, CNE, NEA-BC have shared the National Nurse Campaign Facebook Page with over 4,000 friends. They wrote dozens of letters to members of Congress representing districts in Florida, Georgia, California, Hawaii, Kentucky and South Carolina. Students also sent letters to the editor to nursing websites and peer- reviewed journals. Special thanks to Catherine Huber BSN, RN, CEN and Tammy Franqueiro BSN, RN-BC for their guidance and leadership in promoting this legislation. Please contact the NNNO if you are a nursing or graduate student and wish to promote the National Nurse Act in a class project.